The Cell Phone Buyer For Used Cell Phones! Have an old cell phone sitting in a desk gathering dust? Maybe a few recent iPhones collecting dust somewhere? Just upgraded to the latest Samsung Galaxy smartphone? Have you considered selling them for some fast cash? We buy all phones: new, used, pre-owned, and locked! We’ll take them off your hands at B & B Pawn and Gold! This local cell phone buyer is conveniently located in Mesa and will purchase your new, used, or locked iPhone, Android, Samsung Galaxy, Nokia, HTC, smart phones or any other used cell phones that you may have. Come see why we’re the top used cell phone buyer in all of Tempe, Mesa, Scottsdale, and Chandler! Sell cell phones today in minutes! Quick Cash for Your Used Cell Phone! Are you thinking about selling a cell phone? Do you have used or locked cell phones? We want ’em. And we’ll pay you cash to get rid of them! We’ll buy it no matter the brand, style, or condition; just bring in your old cell phones, you sell cell phones, and walk away with fast and easy cash within minutes. Blocked ESN? Global phone? Don’t worry. We want them all! When we say that we are a used cell phone buyer, we mean it. 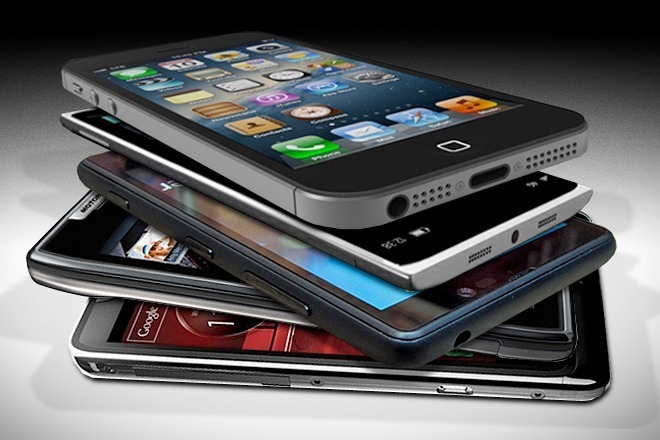 Whether you’re in Mesa, Chandler, Tempe, or Gilbert, we want to be your used cell phone buyer! Yes! We can take most older phones, such as old flip phones and the like. While you shouldn’t expect to get a huge amount of cash. Sell your cell phone because it still has value, we still guarantee you’ll get more for it here than anywhere else! We are where you can sell used cell phones. As for smart phones, we can really only give the MOST cash for the most recent iterations, as smart phones tend to get outdated very quickly. For example, the iPhone 7 and 7 Plus are the most current, so we can guarantee the most cash for iPhone 7 Plus, 7, 6s, and 6! Sell your used cell phones for the most cash today. Some people have these phones just hanging out in their drawer that they’re sure aren’t worth anything, but why leave stacks of cash unattended to!? Most phones are worth something, and if you’re not doing anything with it, most of the time we can get you the immediate cash you want and need for these phones. If you’re not sure, just call us! We’re always happy to help. Yes, there are. First and foremost, for older phones they must be in near new if not perfect condition. They must also come with the box and all included accessories, also in near new condition. Also, understand that if you want us to provide you with a worthwhile sum of cash, it’s best to bring in the latest models in near factory condition with all accessories. As stated before, we can accept most older phones but it has to have a loan-to-value worth GIVING back to you. Example: if you have an older phone that’s worth less than 30 dollars and you would like to recieve 50% of its loan-to-value, then it may not work out in your favor. We want to stress the importance that we are offering you money for your older phones, but we have to WANT it. The latest models make it easier for you to make us WANT your phone. iPhone, Android, Windows Phone, Blackberry, Sony, Samsung, Motorola, Nokia, LG, HTC, ZTE, Sprint, Verizon, AT&T, T-Mobile, any carrier, any brand! As technology continues to advance, so does the increase in older tech. But now there’s a way to get one last bit of purpose for your phone. We welcome you and your devices and look forward to giving you the money you deserve. This is our purpose as the cell phone buyer Mesa residents trusted and continue to return. Proudly servicing the Mesa, Scottsdale, Gilbert, and Chandler areas for over 10 years!